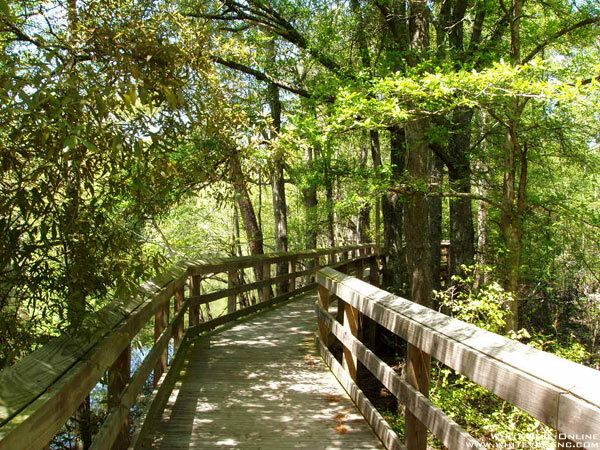 The Fair Bluff River Walk is a beautiful elevated river walk that is open and free to the public. The walk takes you around the Lumber River and is more than a mile long. The Lumber River is one of NC’s Top 10 Natural Wonders.